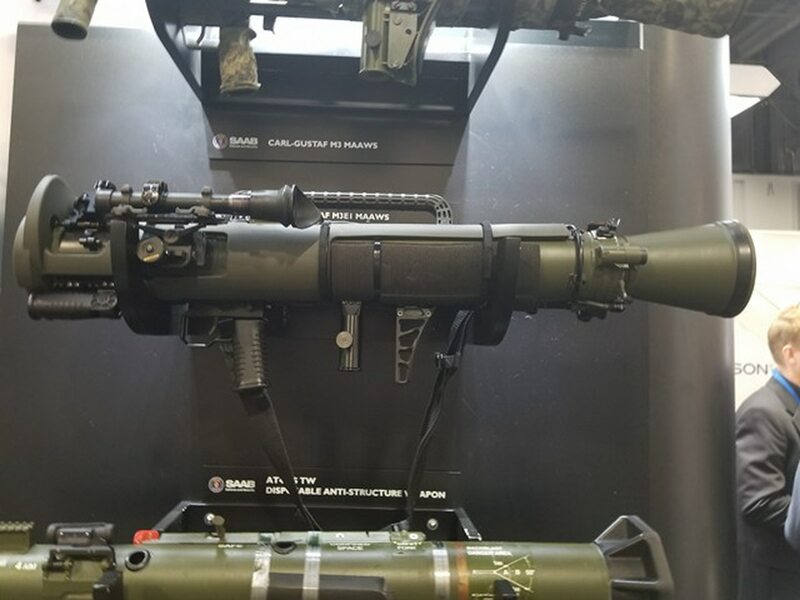 Saab’s new Carl Gustaf, the M4 or M3E1, is roughly 6.5 lbs lighter but is smarter and far more lethal than its predecessor, according to Jack Seymour, the marketing director for Saab North America. The legacy 84mm recoilless anti-tank rocket, or Carl Gustaf M3, is popular with U.S. special operations troops. However, the new model comes with new bells and whistles to include a ballistics computer system that provides the gunner with their next aiming point, allowing the operator to lase the target for accurate fires. The launcher also has a joystick that allows the gunner to adjust the rounds, according to Seymour. Rounds can be adjusted for proximity or airburst, impact or delay, Seymour explained. With the new Carl Gustaf M4, “you don’t have a two-dimensional target,” he added. Operators can now can shoot beyond, penetrate, or shoot around a target, according to Seymour. The new Carl Gustaf is currently undergoing testing and evaluation with the U.S. Army, and has roughly six more months of assessment, according to Seymour.